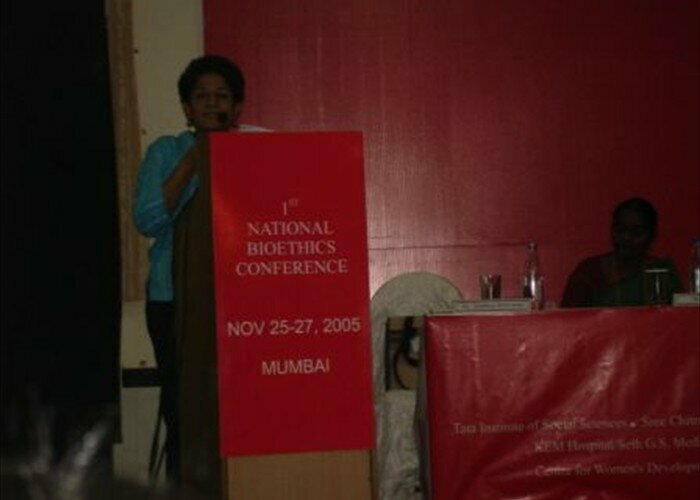 The First National Bioethics Conference, November 25-27, 2005 (NBC, 2005), organised by the Indian Journal of Medical Ethics (IJME), brought together a diverse group of organisations and individuals in an effort to give a platform for bioethics discourse from across the country. The conference was organised around four issues: ethical challenges in HIV/AIDS; ethics of life and death in the era of high-tech health care; ethical responsibilities in violence, conflict and religious strife; and ethics and equity in clinical trials. 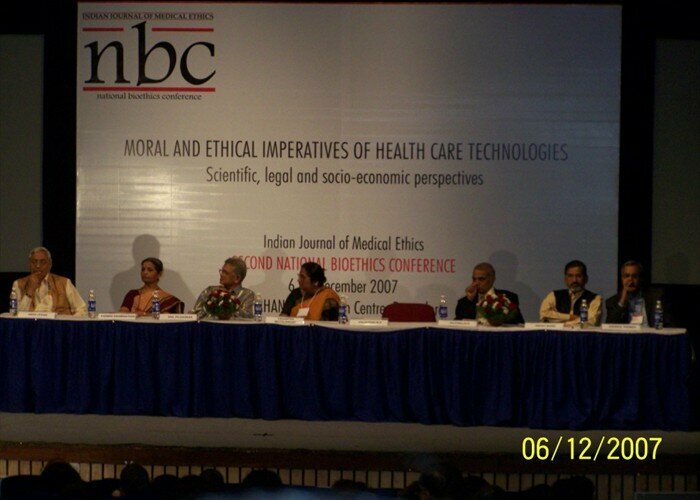 The Indian Journal of Medical Ethics Second National Bioethics Conference, December 6-8 2007 (NBC 2007), brought together over 500 delegates, speakers and other participants from a wide range of disciplines. The participants were a blend of healthcare professionals, academicians, researchers, media professionals and, interestingly, many retired professionals and laypersons. Though doctors and researchers represented the majority, the blend clearly reflected the growing interest in bioethics amongst people of all walks of life and an increase in the strength and momentum of the bioethics movement in India. The theme of the Third National Bioethics Conference was governance of healthcare, addressing issues of ethics, equity and justice. The conference that took place in New Delhi, the fulcrum of policy making in India, attracted over 350 participants from 7 countries. In all there were 58 papers in 25 parallel sessions, and 12 workshop sessions spread over four days from November 17 to 20, 2010. 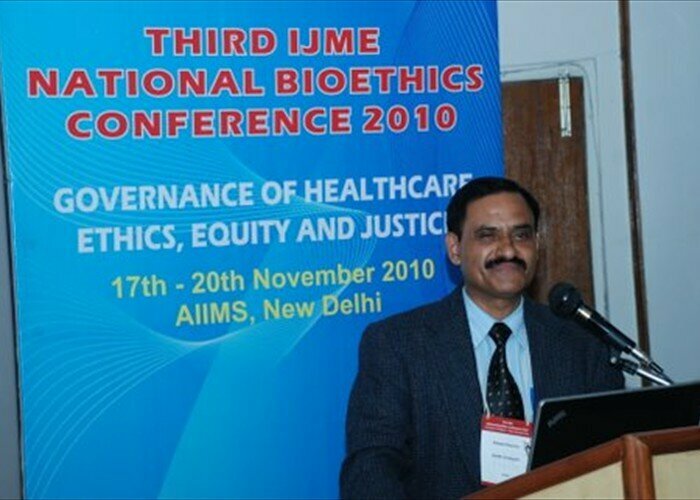 The IJME Fourth National Bioethics Conference (NBC), organised by the Forum for Medical Ethics Society (FMES), Mumbai, in collaboration with the University of Hyderabad, and the Council for Social Development, was held from December 6 to 8, 2012, in Hyderabad. The NBC saw the coming together of around 370 participants from different corners of the country and the globe. 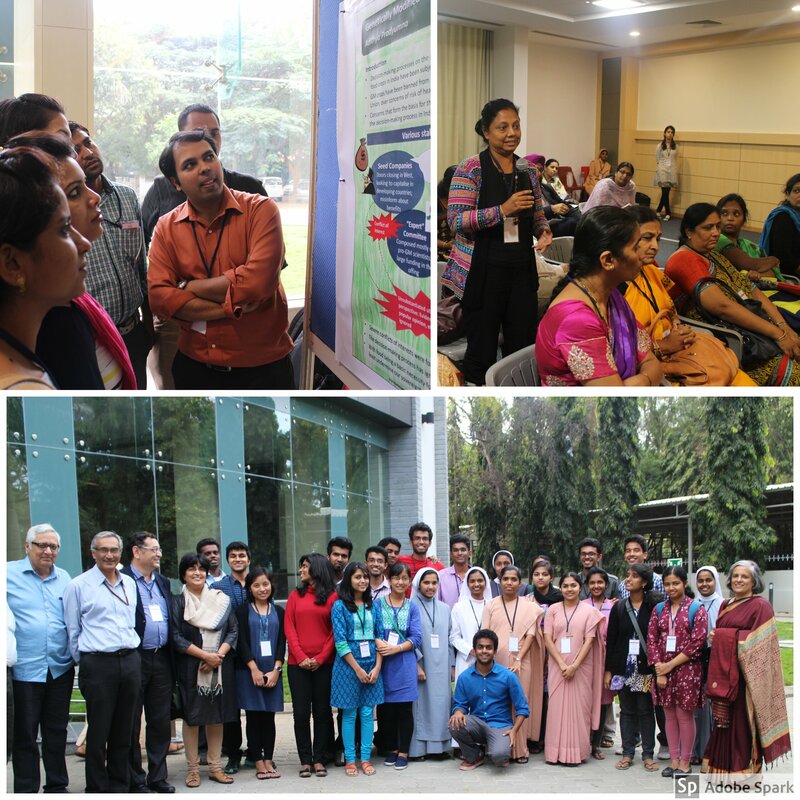 The participants included health practitioners, researchers, activists, social scientists, policy makers and students. The theme of the conference was 'Ethics and regulatory challenges in health research'. Over the three days of the meet there were debates, discussions and deliberations on various aspects of this subject. 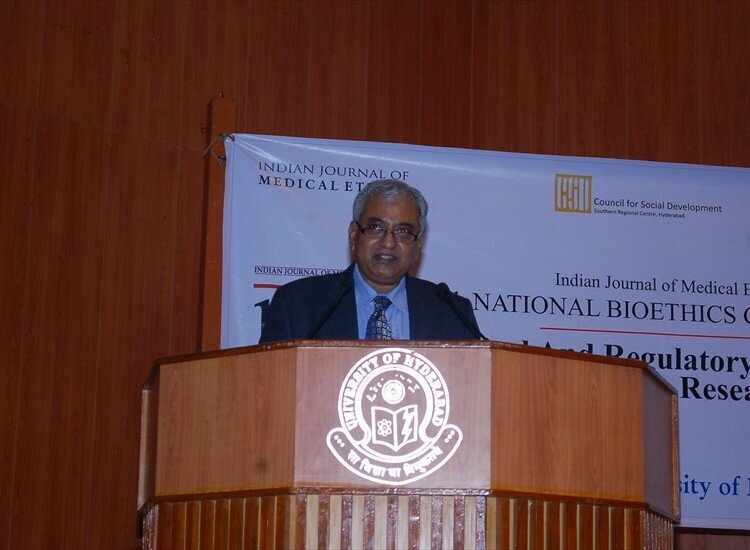 The fifth National Bioethics Conference (NBC) was co-hosted by St John's National Academy of Health Sciences (SJNAHS), Bangalore; Society for Community Health Research Awareness and Action (SOCHARA), Bangalore; and the Forum for Medical Ethics Society (FMES), Mumbai which publishes the Indian Journal of Medical Ethics. The conference was held at the beautiful St John's campus in Bangalore from December 11 to 13, 2014, with pre-conference events conducted on December 10. The theme of the conference was Integrity in medical care, public health and health research which arose from widespread public perception of corruption in the health sector. The conference encouraged discussion and debate about the role of bioethics as a value base influencing concepts and practice in medical care, public health, and health research. In keeping with the theme, an international colloquium on Corruption in healthcare and medicine was also organised. Through these events it was hoped that bioethics would evolve not just as a discipline, but also as a widespread movement that effects change. 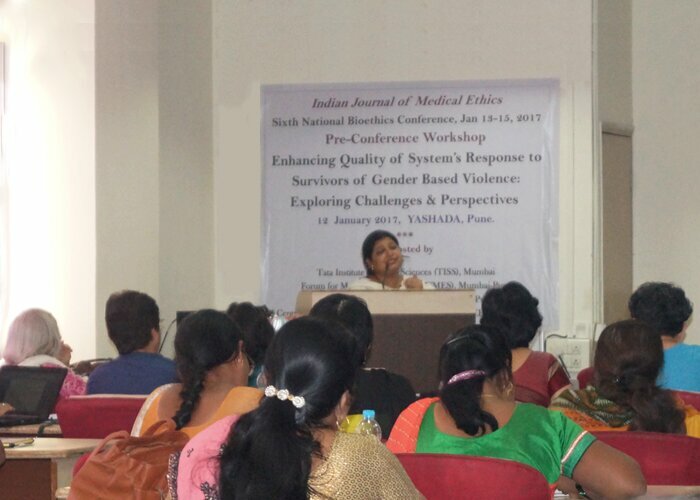 The 6th Bioethics conference was held at YASHADA, in Pune, Maharashtra. The theme of the conference was 'Healing and Dying with Dignity: Ethical issues in palliative care, end-of-life care and euthanasia' though there were plenty of debates and conversations on other wide ranging themes from the broader discipline of bioethics.